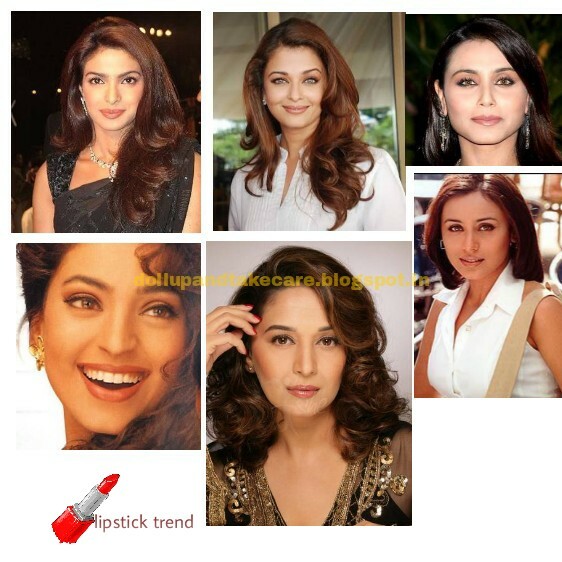 If you are a lipstick lover you must be a person who watches lipstick trend changing and always finds the changing trend irresistible.Well as you all know I love lipsticks,I guess my readers love them too.During my teens I used love mom’s collection,honestly she never discouraged or restricted me to try the lippies from her collection, but the cute pink/strawberry tinted lipbalms that came in glass jar those days were enough for me.If you are a 90s girl you have seen lipstick trend in bollywood changing pretty often , those dark lipliners and hot metallic hue lipstick hues replaced by magentas bright Fuschias ,Mauves ,followed by super matte dark hues in brick red .One Colour that can never be tagged out of fashion is Milk Chocolate Hue ,every bolly beauties were spotted with this shade not only once but pretty often, Juhi Chawla,Aishwarya Rai Bachchan, Priyanka Chopra, our bong beauty Rani Mukherjee to Madhuri every one sported this shade pretty good . 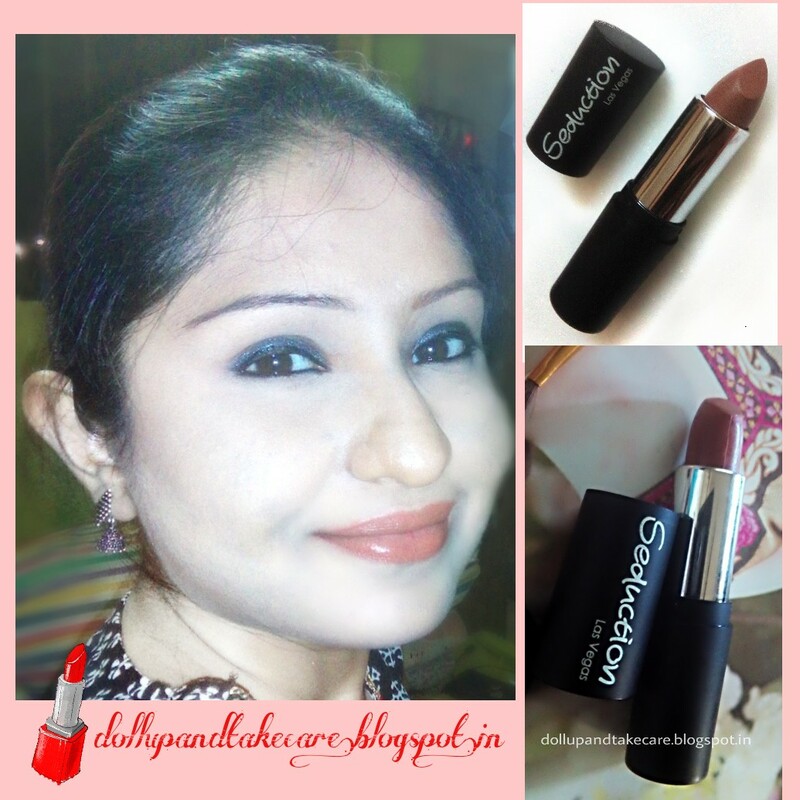 Well the shade Milk chocolate reminds me mostly of Madhuri Dixit. 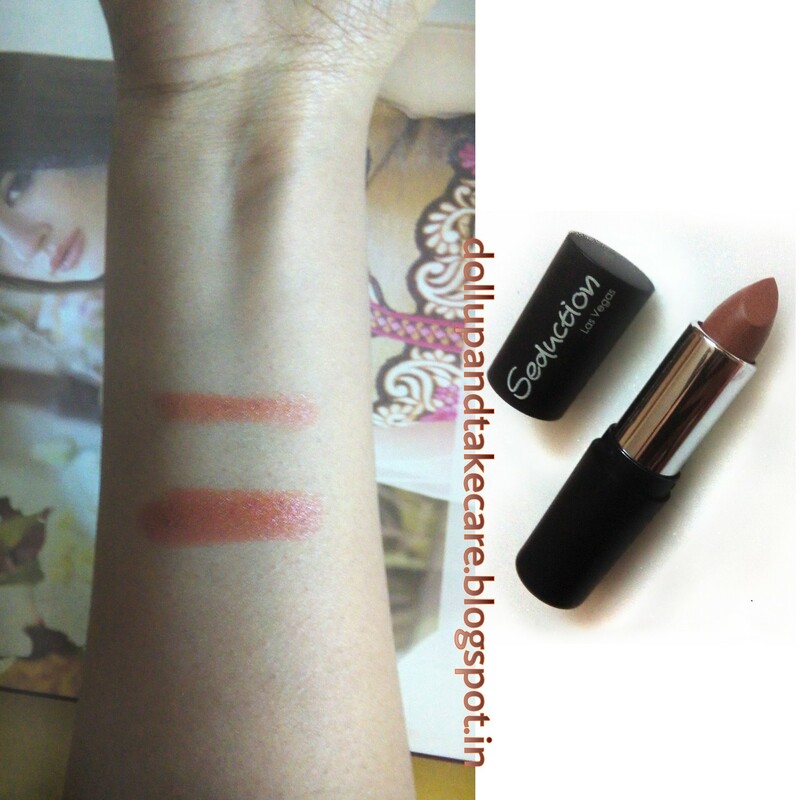 Even Kareena is also seen wearing such milk chocolate hue , I guess its Mac Mocha. 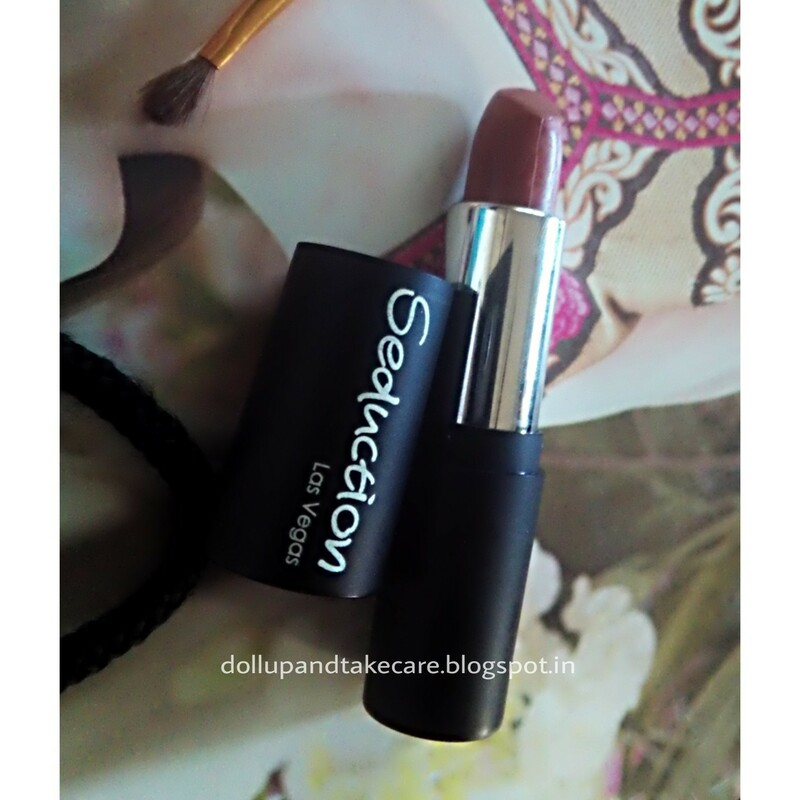 Today I am going to write about one such Milk Chocolate hue Lipstick from my recent Favourite brand Seduction Las Vegas. This Milk Chocolate Shade is not exactly a dupe but looks a lot like Mac Mocha. Packaging: These lippiescomes in matte black, opaque trapezium like packaging,which is pretty much sturdy with the BRAND NAME embedded on the matte black lid.These lipsticks are less space consuming and travel friendly but can't bear extra pressure while opening/closing. One thing about these lipsticks are do not have any color coded encase which is the only problem with these.Like I have many lippies from these brand and I have to remember the shade numbers . They are allocated with shade numbers only. The colour and texture looks a lot like Mac Mocha .Quality wise you can compare it with any imported brand.Texture is buttery soft . 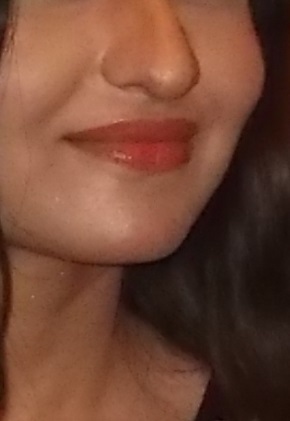 It look matte yet moisturizing if you donot wear any prep time balm.I have skipped the prep time lip balm (not so purposely ,P.S .I am a vullakkar) and photraghed under normal light . 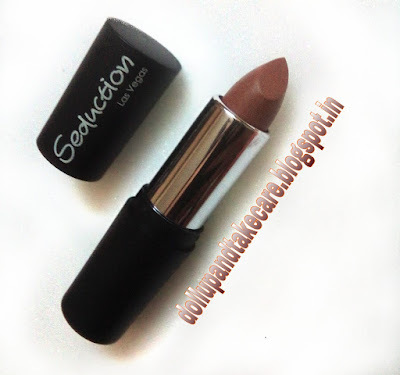 This Milk chocolate shade looks not so over powering it soft and subtle enough to steal attention. 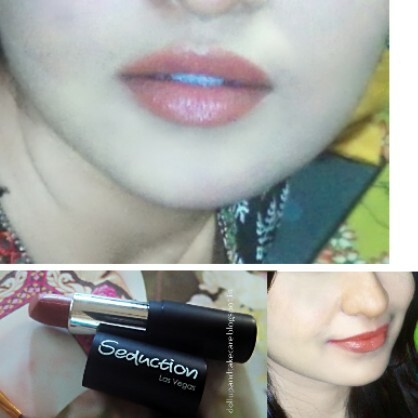 If you wear it after preparing your lips with prep time lip balm.You get a velvety finish that lies sumwhere between matte and glossy .I absolutely love this look. The color Pay off is absolutely lovely .I have oily skin and my lips stay oily thus skipping lipbalm did not make a big deal. 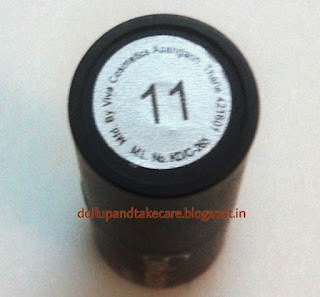 If you have dry lips still opting for matte look I would recommend to exfoliate lips and prepare it because like every matte lipstick this also can settlr it fine lines. Staying Power : Survives big meal and stays for good 5 hours hours , If you are going for coffee I must say the cup is not gonna be lucky enough to have loads of love marks .It transfers pretty less and if you are not going for brunch or lunch it stays more than 6-7hrs. So Doll's have a fabulous weekend.